Isobar has developed the world’s first Virtual Reality Emotional Measurement and Analytics Platform. Isobar, in a research collaboration with the MIT Media Lab, has co-developed a way to capture and analyze behavioral data in virtual reality. With this foundational research, Isobar has since advanced this work to include integration with its proprietary MindSight® tool. This will further the understanding of the emotional response to content delivered in virtual, augmented, and mixed reality experiences and will be available to clients immediately. The development was driven by a client demand for precise methods to measure ROI from VR brand experiences. Isobar has married its knowledge of working with emotional analytics—both in VR and 2D content—to research developed in collaboration with the MIT Media Lab Fluid Interfaces Group around the ability to capture a user's real-time behavior in room-scale VR. The result is a new platform that provides deep insights into how to measure the effectiveness of VR experiences for marketers. The ability to tap into a user’s emotions is enabled through an integration with Isobar’s Marketing Intelligence Practice and MindSight®, its proprietary tool to access the emotional brain. Academically accepted, MindSight® is grounded in applied neuroscience to uncover the forces that motivate behaviors. Isobar also integrated the platform with iMotion’s biometric research platform, the world’s first objective, non‐intrusive, and reliable software to measure human emotional response to visual stimuli. iMotion employs eye tracking, electroencephalography (EEG), galvanic skin response (GSR), electrocardiography (ECG), and facial electromyography (EMG). 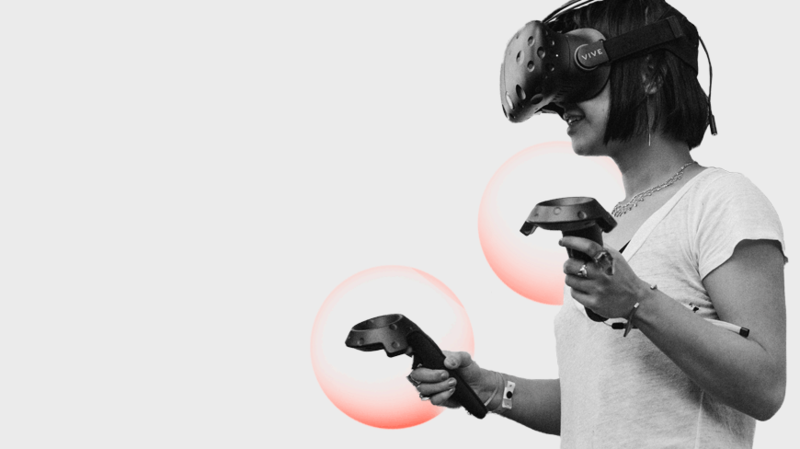 By integrating the analytics platform’s groundbreaking VR hardware and software with an emotion-sensing biometric research platform, Isobar can measure immersive experiences with moment-to-moment sensing precision. Data visualizations generated in real time enable developers and brand marketers to pinpoint elements in the user journey that enhance or detract from the experience. For example, it can measure experiences created in leading game engines like Unity to capture the behavior of users during their virtual sessions. By providing a mechanism to replay behavioral and emotional data captured during VR experiences, the platform enables stakeholders to actually “go into” the VR application and analyze areas that have stimulated an emotional reaction from the user. Multiple stakeholders can simultaneously view users’ avatars playing back inside the VR session as it was experienced. Watch the prototype here to witness the avatar changing color based on the user's emotions, such as interest, happiness, and disappointment. Dave Meeker, Vice-President, Isobar U.S. comments, "Emotions provide the energy behind virtually every behavior people engage in, every day of our lives. And emotions are tricky to measure. For VR to power anything, including commerce, we must measure in-the-moment emotion. Brands that invest in VR now can have precise and sensitive methods that measure stumbling blocks and successes without depending on self-reporting, language, cognitive effort, memory, or even users’ willingness to give an honest answer. Isobar is at the forefront of VR, working across industries to help define strategic roadmaps for the next wave of training, education, productivity, and consumer-facing digital experiences. Our investment in this platform gives us a strong competitive advantage and differentiates Isobar as a provider of virtual and augmented reality content and experience development in a very crowded marketplace." Details of the VR Emotional Measurement and Analytics Platform can be found in an Isobar white paper, Virtual Reality: Measuring User Experiences, Providing a Justification for Investment.